In the afternoon session on Saturday 13 April seven members did some litter picking to support Surfers Against Sewage’s beach clean up campaign which British Canoeing are supporting. We cleaned the stretch of the canal from the club to CRT’s site and removed 4 bags of plastic bottles, cans and glass bottles as well as a fire extinguisher. 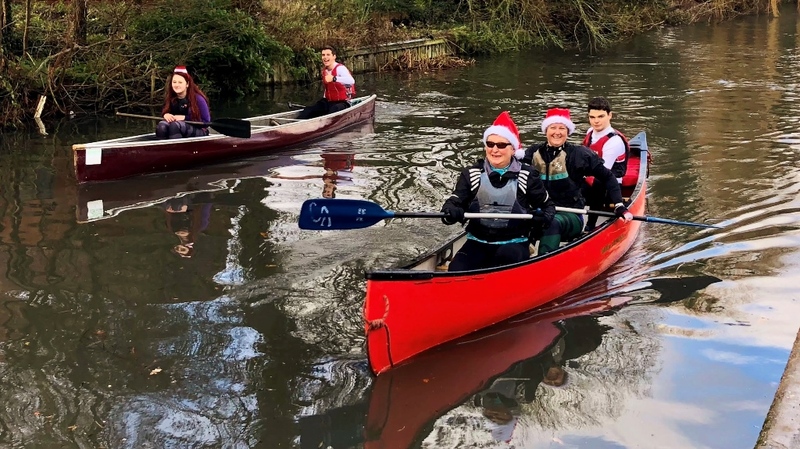 Some intrepid paddlers were out being silly in Canadians the weekend before Christmas. The 200m race was extremely competitive, with some dodgy tactics & outrageous cheating!! Happy Christmas everyone & see you in 2019!